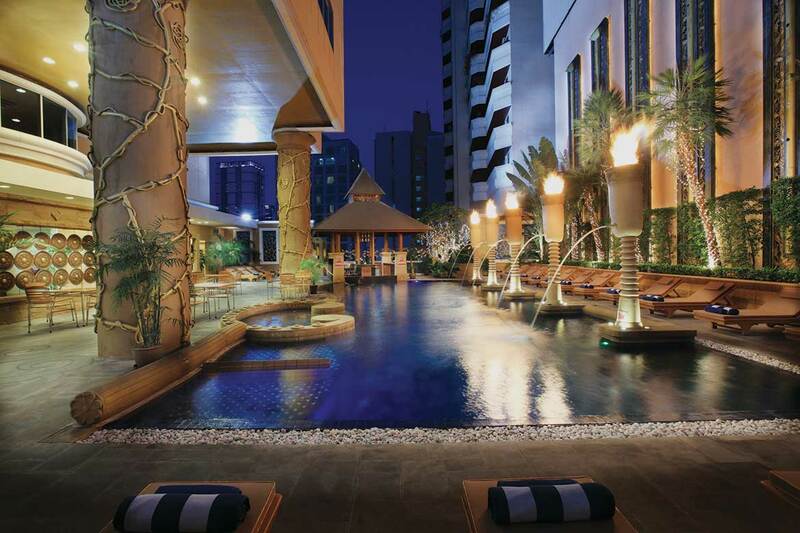 Super central location hotel in Bangkok. 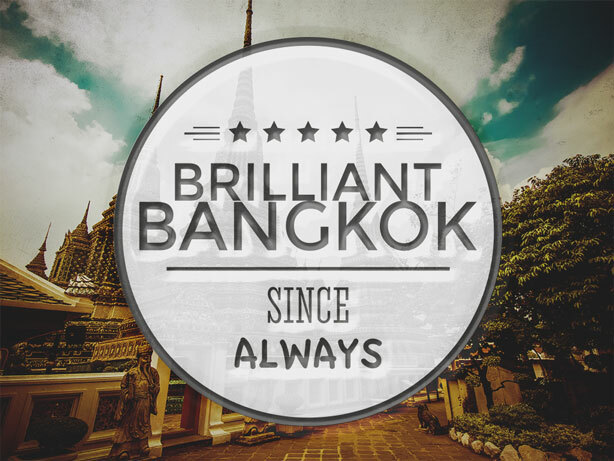 Modern and convenient hotel on Sukhumvit Soi 6. Close to lots of shopping, restaurants and entertainment. Paragon, Central World and MBK. Stay min. 2 nights and we have a great price of $120 per night. + on top of the already great value price. Child age: 04 – 11 years upon arrival date. International buffet @Cafe de Nimes which also serve breakfast. Great big pool with sun beds and pool-bar on the 4th floor. 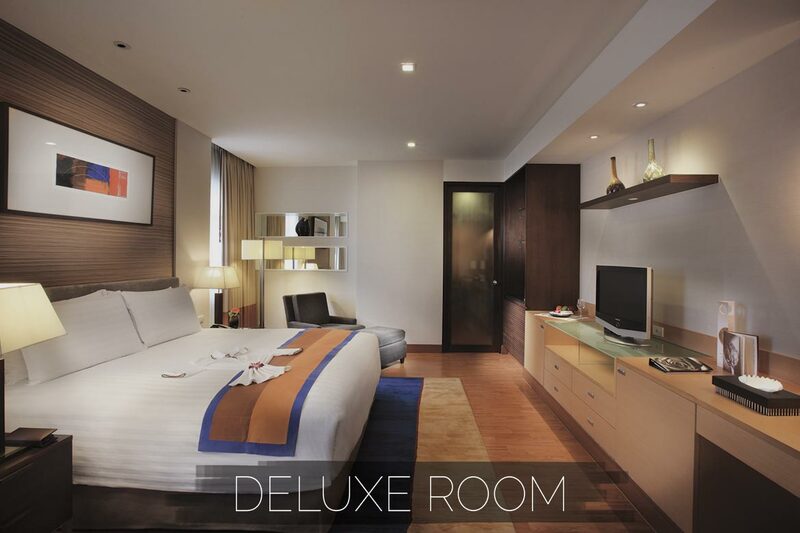 Deluxe Room: 36 sq. m.
Deluxe Suites: 52 sq. m.
Kitchen, Living room, Dining area, Sofa, Two 26″ LCD TV. Executive One bedroom apartment: 72 sq. m.
One bedroom + living room with separate lounge sofa area. Kitchen facilities, Dining area, Sofa, Two 26″ LCD TV. All rooms feature air conditioning, wardrobe, working desk, bathroom with tub and separate shower, toiletries, tea/coffee making facilities, TV, IDD telephone, in-room safe, minibar. King or twin beds are available. 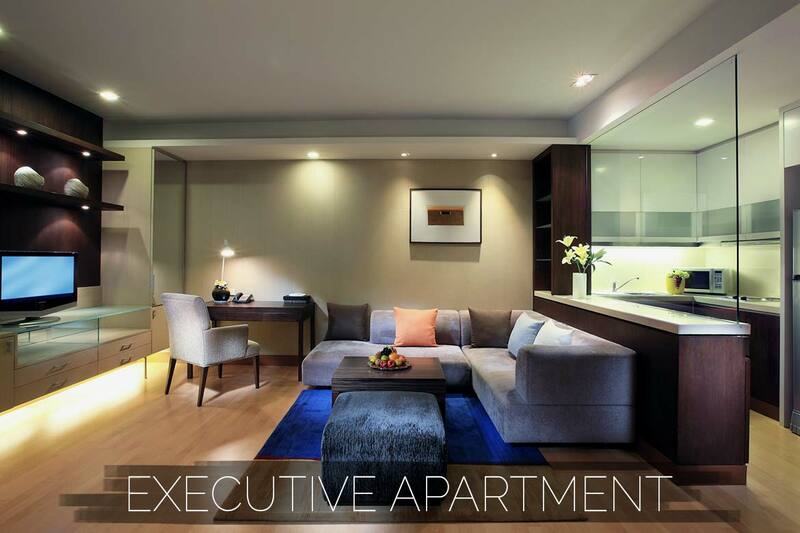 2 – 3 min light stroll to Bangkok’s busy Sukhumvit Road, with an abundance of street markets, restaurant and shops. 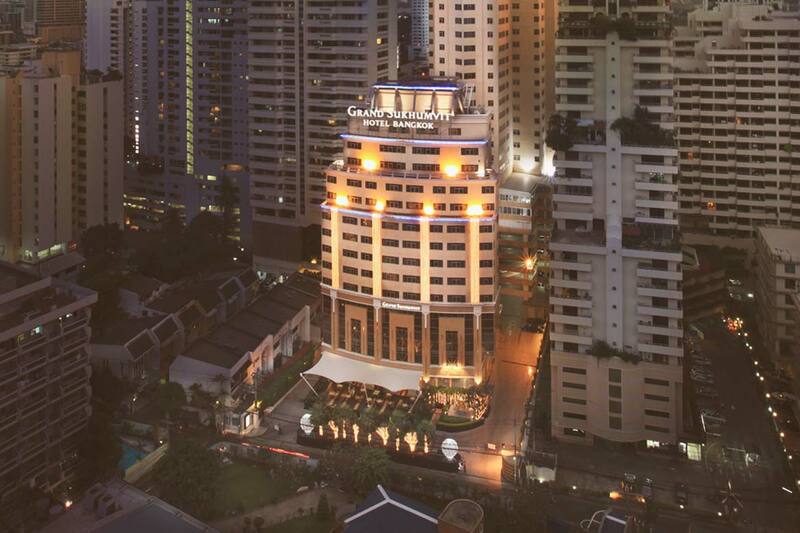 Even though traffic and busy streets make noise, Grand Sukhumvit is well placed and distanced from big city noise.